Degenerative disc disease is a spinal condition caused by the breakdown of your intervertebral discs. It is one of the most common causes of lower neck and back pain. As you age, your spine begins to show signs of wear and tear as your discs dry out and shrink. These age-related changes can lead to arthritis, disc herniation, or spinal stenosis, which can put pressure on your spinal cord and nerves and may cause back pain. Certain positions make the pain worse or better. Sitting usually makes the pain worse. 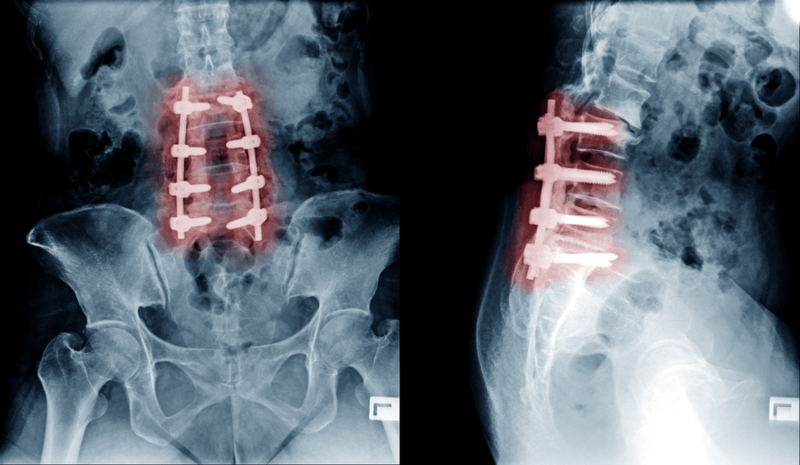 Degenerative disc disease can be caused by an injury, but that’s rarely the case. Usually, DDD is caused by wear and tear, a low energy injury to the disc that progresses over an extended period of time, inflammation, or abnormal micro-motion instability. Abnormal micro-motion instability happens when the outer rings of the disc (annulus fibrosis) cannot absorb stress on the spine effectively due to them being worn down. When proteins in the space of the disc irritate nerves that are surrounding, inflammation occurs that cause pain and can radiate down nerves in the legs. Your doctor collecting your medical history, learning when the pain started, positions and daily activities that make the pain better or worse, and figuring out the most prominent symptoms and pain levels. Physical exam: this will most likely include your doctor testing your range of motion, tenderness, and muscle strength around the lower back and the back of the legs. Medication that controls inflammation and pain in combination with physical therapy and exercise alleviates DDD in most cases. The only time surgery is considered if nonsurgical treatment hasn’t worked after six months. The first form of home treatment is to not aggravate the condition. This will include cutting out activities that rotate the back, such as playing sports like golf or doing any heavy lifting. An exercise plan will be implemented and is essential to the treatment of DDD pain and healing. Walking and swimming are commonly suggested, as well as stretching and back strengthening exercises.